Pixability and Niddocks Cornwall have been named by 10 Best PPC as the top two winners of its Best YouTube PPC Management Firm Awards for February 2016. Known for creating highly visible campaigns, Pixability uses v3 software and other tools that target success, while Niddocks Cornwall works closely with clients to deliver a very powerful approach to business and strategic planning. 10 Best PPC is proud to release the names of the top two winners of its Best Youtube Management Firm awards: Pixability and Niddocks Cornwall. These latest awards were issued for the month of February. Youtube marketing is one of the most effective ways to reach a global audience. When building a brand, gaining a following, building brand awareness, and getting the word spread about a business is not an overnight process. It can take time to get seen, but the best thing every business needs to consider doing is Youtube pay-per-click marketing, also known as PPC. This kind of marketing gives businesses the chance to be seen by thousands of people every single day on different Youtube videos. Advertising on Youtube has never been so easy, but efficient strategies is always so important. This is why this list was created; to provide users with a reliable list of the best Youtube PPC management companies in the world. 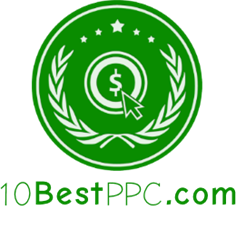 This new monthly award by 10 Best PPC is a chance to help feature and showcase the best in the industry. It's a great way to learn more about the companies and discover who to work with. As the top Youtube PPC firm, Pixability is known for creating and running successful and visible campaigns that create and deliver results. Their insights and powerful channel management for integrating useful and serious results can guide anybody for reaching their marketing goals on Youtube. Utilizing powerful v3 software and other tactics, they can help a brand target their campaigns to further reach their viewers and gain better results. Eliminating the guesswork, they have a team of knowledgeable and talented individuals who help provide customers with quality service. Niddocks Cornwall is a leading Youtube PPC business that truly knows how to make advertising on this video sharing site so much easier. Working closely with their clients, they deliver a very powerful approach to business and strategic planning. They plan and create strategic systems to create great results. Working with a leading Youtube PPC firm can give businesses the chance to grow using the Youtube platform. Utilizing the most reliable strategies, the above companies know all about marketing and effectively accomplishing a real system that delivers results. Companies that want to work with the Best Youtube PPC management firms can use 10 Best PPC’s list to find the right provider for their needs.